The RE, as surveyors, marked out the Lots to be sold at auction. Many of the members of the Detachment invested in the Colony early. McColl, a surveyor, was no exception. Sale book of rural lands, October 5th, 1859, Records of lands sold to Sgt. Wm. McColl and Sgt. Major George Cann of the Royal Engineers and a Capt. MacLean, Charles Good, and Governor James Douglas (Manson Island lands). The Detachment served not only as military and Civil Engineers but would also bear a hand in Police activities. McColl appears to have had to play constable once in 1859. An Indian, suspected of the murder of an old Irishman, escaped from his sapper guard to flee for his life, his pursuers firing upon him with their revolvers as he ran. One man, an Indian, named Tsilpeyman, known to be a bad character, hated and feared by his tribe, and suspected by them of having been implicated in the murder, was given up by a party of the Musquioms across the river into our hands. He was kept somewhat loosely guarded at the Camp, a young sapper named Meade being specially told off to watch him. During the afternoon he managed to divest himself of his clothing and sat with only a blanket wrapped round him. In the evening he watched his opportunity and darted away from his guard. They were armed with revolvers, and rushed after him firing. But the revolvers had been loaded for some time and hung fire. Young Meade had sprung towards him as he started off; but the Indian cleverly threw his blanket over Meade, and sped away down the bank towards the river. It was then quite dark, and for some time eager search was made with lanterns in the water, and out of the water among the stores and sheds. I was going my rounds at the time, visiting families of the sappers, and wondered what the shouting and firing could mean. The poor fellow had indeed leapt into the river, which was rushing along filled with floes of ice at about freezing temperature, to swim for his life. A Serjeant, Jock M'Clure, a knowing, cool-headed Scotchman, guessing what had happened, and knowing that there was a spit of sand some few hundreds of yards lower down the river round which the tide would be sweeping -for he was one of those men who notice everything- quietly ran down to the spit and waited for what he believed would come to pass. It was pitch dark, and he could see nothing except the waters rushing swiftly by. Listening, however, intently, he heard a sound which he knew, a choking sound and a faint cry, and then all was still. The Indian was heard of no more, and after a little while his tribe recognized the fact he was dead. His kloochman wept for him, and his blankets were given away. In February, McColl asked Colonel Moody to intervene on his behalf to bring his wife and children over from England to the Colony. I have the honor to submit for your most favorable consideration, an application which I have received from Serjeant McColl RE, requesting me to obtain for him from the proper Authorities, some assistance to enable him to send to England for his wife and family of four children (Ages - 8, 6, 4, and 2 years). He states that when he left England with Captain Parsons in September 1858, his wife's health was such as to preclude her possibility of her accompanying him, and so it continued up to the date of the last Detachment leaving that country. To Your Excellency, Serjeant McColl is personally known, which occasions me to say little at the present time of the high opinion that I entertain of his Integrity. He has been more than 18 1/2 years in the Service, during the whole of which period he has conducted himself in a most exemplary manner and it was only by the last Mail that I had the satisfaction of bringing his case to the notice of Assistant Adjutant General, Royal Engineers, for "Good Conduct medal and Gratuity", to which he is so justly entitled. Should the assistance now or any encouragement to him be given, it is the intention of Serjeant McColl after the termination of his Service to remain in the Colony and I doubt not that he will prove himself to be a valuable settler. Later in the Spring, the Men of the Detachment petitioned Colonel Moody, that now that the Camp was settled, they would like to bring their wives and sweethearts from England to join them in the Colony. Names of Men belonging to the Columbia Detachment of Royal Engineers, who have petitioned me to obtain for them such assistance in the transport of their wives, families, etc. as the Government may be willing to afford. To accompany my letter (No. 2401) to His Excellency the Governor of British Columbia dated 29th March 1860. Serjt. W. McColl - Mrs. W. McColl; 4 Childen - 8, 6, 4, 2. Sapper H. Holroyd (enlisted under the name Dransfield) - Mary Anne Holroyd; 2 children - 6, 4. Clayton Heights, West Bradford, Yorkshire. 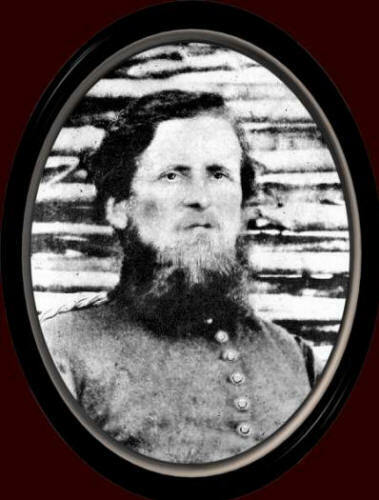 Sapper John Laffrey - Catherine May. Acrise Village, Etham, West Canterbury, Kent. 2nd Corp. Geo. Hand - Sarah Jane Crossland. Care of E. Norris, Esq., Trafford Old Hall, Old Trafford, Manchester. The wheels of the Army turned slowly and months later the proper department responded to Colonel Moody. With reference to your letter of the 14th August and 1st October last directing us to provide passages (via Cape Horn) to British Columbia, for the wives and families of the 7 men belonging to the Detachment of Royal Engineers stationed in that Colony, I have to report for the information of the Secretary of State that the "Marcella" in which Vessel passages were engaged as mentioned in Mr. Malcott's letter of the 20th ultimo, sailed on the 12th instant from Gravesend for Vancouver's Island having on board the 3 women and 4 children named in the margin (Sarah J. Crossland, Sarah Gill, Mrs. McColl and her 4 children). All the women comprised in the list which accompanied your letter of the 14th August last except Mrs. Holroyd (who stated that she preferred to remain where she was a little longer) accepted the offer of a passage when made to them - but subsequently Mrs. Goskirk, Jane Bingley and Catherine May declined to proceed - the first alleging that she had not the means to travel from Scotland to London to join the Vessel, the second that she had been informed that she was to go out as an Emigrant and not as a passenger and the last because she was an Indoor patient at the Dover Hospital with little prospect of recovery. A passage warrant was sent to Mrs. Goskirk to enable her to reach London without expense - and the nature of the arrangements were explained to Jane Bingley but in neither case with any change in the result. Bingley and May appear to be young women who were probably going out to be married to the men who sent for them. The Secretary of State may perhaps deem it advisable to notify to Colonel Moody the sailing of the "Marcella", and the reasons why Catherine May, Mrs. Holroyd, Mrs. Goskirk and Jane Bingley have not proceeded in her. As the two former gave us notice of their intentions to remain at home, before the preparations for their accomadation on board the ship were completed, we forfeit for their passages, but in the cases of Mrs. Goskirk and Jane Bingley we shall have in justice to the ship owner, to pay the usual forfeit of half the passage money, as their change of mind was not communicated until all the expense of fittings and provisioning had been incurred. Many years later, the Vancouver City Archivist wrote to one of the living members of the McColl Family, asking about how they arrived in the Colony. Thank you very much for sending me the Richmond paper ("Marpole Richmond Review", 18th June, 1947), which I presume you did, as it came from the Archives. I was very sorry not to be at the ceremony, nor my sister (Mrs. Annie Helena Grant of New Westminster) as she has been ill in bed for the past 7 weeks. There is one little correction I would like to make. Alex (Alex Boyd) was the 3rd Child, another brother Willie in Winnipeg was the eldest and Fanny, next, who is keeping house now for her mother. And my eldest sister (Mrs. Hugh Boyd) did not come out on the "Thames City" as my Mother brought her family of four out later to join her husband. She also came around the Horn in a small sailing vessel. In 1860, Serjeant McColl with another detachment of the Engineers located the trail from Hope towards the Similkameen as far as the summit of Punch-bowl, carrying it over an elevation of 4,000 feet with no greater single gradient than 1 foot in 12. Later that summer, the Hon. Edgar Dewdney built along this route the first trail from Hope to the Similkameen. On June 26, 1860, the party staked by Governor James Douglas and led by John Fall Allison set out from Hope for the Similkameen to prospect. Douglas went on a lengthy inspection of the interior including Lytton, Fort Kamloops, the Nicola Valley, the Similkameen Valley, and the southern part of the Okanagan which made him enthusiastic about the prospects for agriculture. He ordered Peter O'Reilly to lay out a townsite at the Vermilion Forks--the junction of the Tulameen and the Similkameen. Then, when he returned, Douglas made preparations to have the Queen's Trail, as he called it--a mule trail 70 miles long--blazed from Hope to Vermilion Forks. Edgar Dewdney and Walter Moberly obtained the contract. That October, McColl surveyed the trail route from Punch Bowl Pass on the Brigade Trail down Whipsaw Creek to Princeton (which Douglas had just named). It had a much better gradiant than the Brigade Trail. Source: A Pioneer Gentlewoman, page xix. Sergeant McCaul and party leave here on Monday on a tour of observation, with instructions to select a site for the proposed bridge. Its probable locality will be at Hell's gate, the narrowest span in the Big Canyon. The prosecution of this work in connection with the wagon roads, will give employment to about six hundred men during the coming winter. Essential to the completion of the Cariboo Road, the first Alexandra Bridge was begun on June 16, 1862 and completed September 1, 1863. Sergeant McColl surveyed the site at the narrows between Spuzzum and Chapman's Bar. Joseph Trutch, a civil engineer who had been in the colony since 1859, obtained the contract to built the structure; A. S. Hallide of San Francisco built the iron bridge itself. In 1864, McColl was asked by Sir James Douglas to mark off "all lands claimed by the Indians". Douglas' instructions stated that in no case was McColl to lay off a reserve under 100 acres. Unfortunately after McColl finished his work he died and Douglas retired. Settlers in Chilliwack complained that the reserves were too large and their irregular pre-emptions should be recognized. Police Superintendent Chartres Brew was dispatched to the area and set up reserves based on ten acres per person, a considerable reduction from the acreage proposed by Douglas. Although the settlers pre-emptions "failed to comply with government requirements" they were recognized. As a Serjeant, McColl's Regimental Pay per Diem would have been 2s. 10 1/2d. plus Working Pay per Diem 3s. to 5s. In 1868, George Turner married Mrs. Ann McColl and this union produced three more children. In 1873, the Tuner family moved to Hazelbrae and there the Turner-McColl children played with the MacLure children. Later Susan MacLure married William McColl.